In 2016, Titleist debuted its first Concept line of golf clubs. Officially, the Concept platform provided an avenue for the typically reserved Titleist to explore cutting edge – perhaps even radical – designs and materials without the cost constraints placed on clubs intended for the mass market. Unofficially, PXG tapped into a market few in the industry new existed and its emergence in the previously untapped ultra-premium space, was eating into the bottom lines of mass market competitors who lacked a commensurate offering. Given that Titleist was largely regarded as the most premium of the mainstream, it’s reasonable to assume its sales took the biggest hit. With that, Titleist produced a small quantity (1500 drivers and 1000 sets of irons) of Concept product as a litmus test to see whether this approach had any merit. Understandably, there was measurable uncertainty as to how the C16 driver and irons would be received given that PXG’s short-term success didn’t provide much of a sample set. Niche products don’t always follow general market trends, and frankly, sales forecasts are entirely unpredictable because products target only a small segment of the population whose buying habits are often quirky and can change without obvious explanation. Limited quantities and elevated prices ($375/iron and $1000 for the driver) didn’t dissuade potential buyers. Most Concept product was spoken for before the general golfing population even knew it existed. Long story short, Titleist’s first small batch release fared better than even the most optimistic of internal expectations and served as validation that a conceptual line of equipment was viable (and profitable), even if ongoing research, development, and release cadence would be less predictable than mainstream offerings. For 2019 (and beyond), Titleist is introducing CNCPT by Titleist as a formal brand-within-a-brand designation for equipment which it describes as … an idea, a promise. 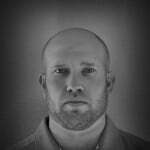 “It’s our answer to ‘What if?’, ” says Kelley Moser Jr., Brand Manager, CNCPT Clubs. The space following the What If proposition is an open-ended invitation to explore materials and processes which are typically cost prohibitive and thus more often used in pursuits where higher grade materials and production costs (aerospace) are an absolute necessity. More expensive materials don’t guarantee better performance, but with the CP-01 and CP-02 (I was secretly hoping for a C3PO gold-plated version) Titleist believes it has created “the finest irons a golfer has ever played.” Finest is a subjective term, therefore, hard to dispute, but considering the standard criteria for irons (distance, forgiveness, looks, sound/feel, consistency) my hunch is the CP-01 and CP-02 work to limit the trade-offs inherent in most iron designs. The CP-01 is positioned as a supremely fast players-distance iron, whereas the CP-02 is a best-of-both-worlds classic muscle-back shape with game-improvement forgiveness – and yes, it’s also fast. A trend in MyGolfSpy’s Most Wanted iron testing is that the best-performing irons aren’t typically the longest. Distance sells, but it doesn’t always correlate with lower scores. Often, maximum distance comes at the expense of distance control (front-back dispersion) and stopping power (the ability to land a ball on a green and keep it there). Titleist claims that by using a Super Metal L Face, which it bills as the thinnest unsupported, constant-thickness face in golf, it can produce ball speeds previously unseen from an iron. For now, Titleist isn’t, however, saying what exact flavor of alloy Super Metal is. It’s a stance similar to that which PXG has taken with COR2, the material which replaced TPE in its GEN2 irons. The idea is to keep the finer details under wraps for as long as possible to prevent copycats. This is, however, the golf equipment industry, so it stands to reason that if Super Metal works as advertised, it won’t be long before it goes to work for Titleist’s competitors. 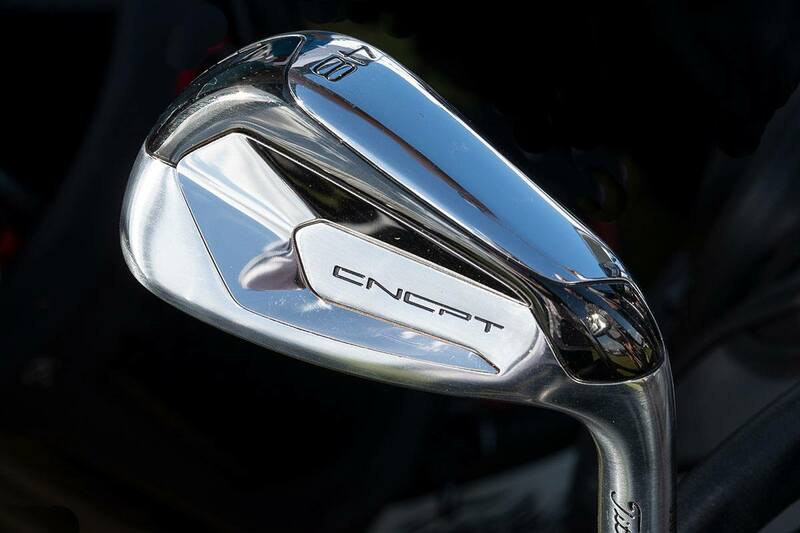 What we do know is that CNCPT series irons will set you back $500/head. Titleist says the Super Metal material is expensive and buyers are required to purchase it in bulk. Even if we assume for a moment that the CP-01 and CP-02 are legitimately faster than anything else out there, we must acknowledge that engineering an iron to go farther isn’t necessarily groundbreaking work. Manufacturers have been strengthening lofts for the better part of the last decade in order to achieve more distance. 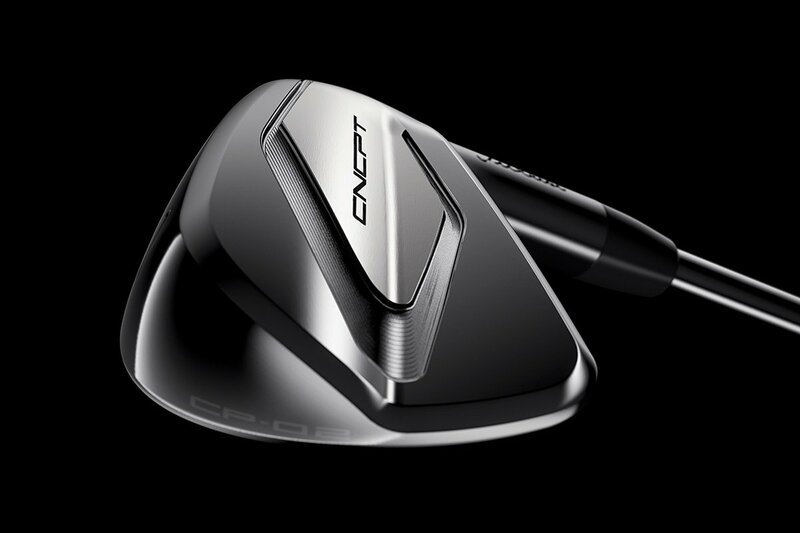 Can CNCPT deliver on the distance promise without compromising the elements of the launch, spin, and descent angle equation required of a truly playable iron? If it can’t then what’s the point? To that end, to prevent increased distance from becoming a liability for CNCPT, Titleist is using what it describes as extraordinary amounts of high-density tungsten to push MOI (forgiveness) to perhaps uncharted territory. Specifically, the CP-01 averages over 100 grams of high-density tungsten and the CP-02 uses slightly more at 110 grams. Whatever else you choose to believe about CNCPT from a performance perspective, understand that we’re talking about a legitimately massive amount of Tungsten. That allows Titleist to place significantly more than the typical amount of mass low and deep in the clubhead, which should help produce launch conditions significantly higher than CNCPT’s otherwise jacked lofts would suggest. From that, you just might get the stopping power that’s an integral component of Titleist’s mainstream iron offerings. The MyGolfSpy staff had a chance to demo the new irons at the PGA Show Demo day, and while we didn’t have the launch monitor running to verify what we saw (or what we think we saw), sufficed to say low bullets weren’t an issue. On paper, the CNCPT irons are positioned to sit in rarified air in terms of price ($500/head), performance, and availability. That said, other than a dedicated CNCPT concierge which can be reached at [email protected] or 1.833.99.CNCPT, we don’t yet know how many of each model Titleist is producing or the specific distribution model. As that information becomes available, we will update accordingly. Given the price point and the audience, big box distribution isn’t going to happen. One would rationally expect this to be a 100% custom fit offering. In fact, Titleist has gone so far as to say that if any of its PGA Tour staff wants to play CNCPT, they’re going to have to buy them. 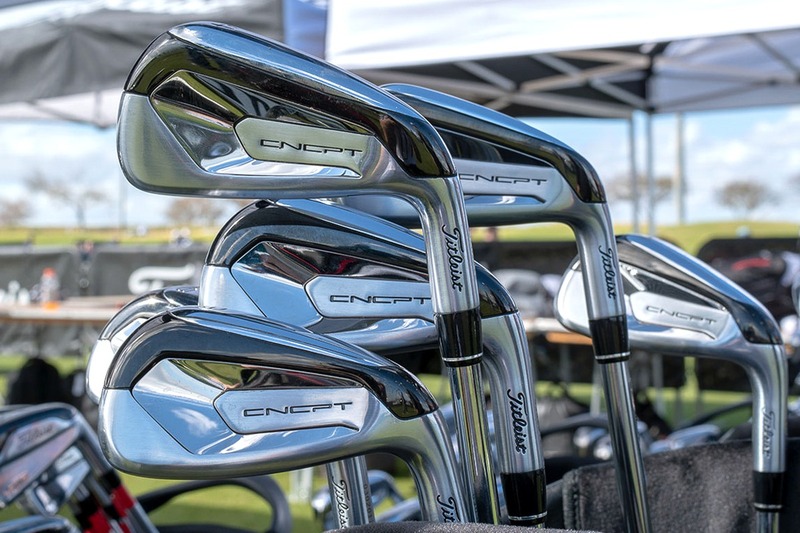 I suspect that’s more of a braggadocious talking point than anything else as there’s unlikely to be much Tour demand for an iron set that one highly ranked tour player not on Titleist’s staff reportedly carried 250 after Butch Harmon put a CNCPT 7-iron in his hands. There was a time when $4000 for a set of irons was a ridiculous proposition and no doubt, there will be comments lamenting the price point as everything wrong with the golf equipment industry. There’s nothing inherently misguided about expensive items, but it’s fair to wonder what impact releases such as CNCPT have on the mainstream golf industry. There’s an argument the net result is upward pricing pressure on mass-market equipment, but innovation has to come from somewhere and if engineering quests like CNCPT help to drive new thinking while discovering new technologies, it’s all good, right? For more information on the 2018 CNCPT line, visit Titleist.com. S.E.X.Y. B A Utiful. Just the look of these is incredible and hopefully, as in most industries, the high end tech will hopefully have a trickle down effect and show up in clubs down the line. So, if they get everyone talking about Titleist these clubs have made Titleist money directly through more equipment sales (not just this iron, but over entire product line) or indirectly through savings on marketing costs. Savvy. I love the comments section for articles like this. Loads of people completely missing the point. An iron of a certain loft can only do what the rules governing clubs allow it to do. PXG irons don’t outperform other clubs when you compare like for like. People buy them for subjective reasons, whether it be the feel, looks, or the nice fuzzy feeling in their belly when they buy something that 95% of the population can’t afford. These clubs will be pre-sold to rich fools who probably don’t even care if they perform well. I doubt they’ll make Titleist any money either. What they have done is get you all talking about Titleist. Mission accomplished. Let me guess….Tiger and Jack would have been better if they had these clubs or PXG’s! I find it pretty difficult & intimating to comment on a subject that Mr. Wishon has weighed in on (well done MGS on your obvious industry reach!!!). But I liken concepts such as those Titlist & PXG are promoting as potential features of future mass market clubs – if they are successful! The auto industry has seen that for decades with features only initially available on luxury/premium models eventually finding their way down to mass market vehicles. Jacked lofts are certainly nothing new but IF they have found better ways to improve launch height, consistency & forgiveness at those lofts, we might just see some of those features on clubs I can afford down the road. So, let those early adopters & people with far more discretionary income than me buy them up so manufacturers can justify pushing the design envelope further – it may just benefit me later. Agreed. I remember when cavity back Pings made from Beryllium Copper were THE innovation. Thank God they performed as well as they did, and became as popular as they did. 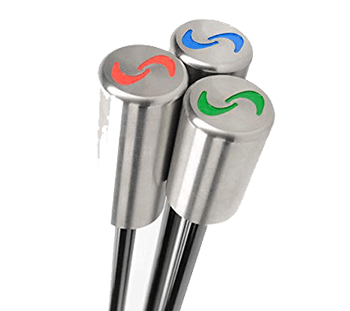 I have seen tungsten weighting help the putter market make great strides in forgiveness thanks to the now defunct Carbite Golf. I can remember smaller tungsten plugs added to the backs of cavity back irons for heel toe weighting add greatly to a club’s forgiveness thanks to the now defunct Nickent Golf. I can’t wait to see where this leads to, especially since, unlike these other two companies, these innovations may be even more impactful as I do not see Titleist going belly up any time soon. Besides, like the article says—100 grams is a boatload of tungsten, and I know for a fact that stuff works. Can’t wait to find out about the supermetal. I have 5 friends that bought into the PXG marketing. Guess what there’re playing now? Personally I like the technology to progress. Without progress we’d all be using a mashie niblick. I don’t understand the guy who uses 20 year old blades and even reads anything from golf spy. Why waste your time reading about new irons and then writing to flame the new stuff while singing the praises of your 90’s era irons. Clubs have advanced a ton the past 5 years. The next 5 should be good too. New materials will trickle down and will be in all the irons in a few years. Keep up the good work titleist and when you need an independent review, let me know. So what do the gold plated with the kangaroo skin grips version cost? Do you have to wear an ostrich skin golf glove to hit them? Too bad Al Czervik (Rodney Dangerfield) has passed, he could have used them to make Judge Smails (Ted Knight) apoplectic. Do they make a “skatoosh” sound when struck? You may not want them, but part of them will be in your clubs in 5 years unless you play blades. R&D by the manufacturers is super effective. When I was younger there weren’t distance irons, there weren’t massive drivers etc. 90% of the golfing public benefits from the trickle down that new avenues for club making like this provide. So laugh if you want, but unless you’re breaking par with blades, some part of these clubs are definitely for you, and in your future. If I had all the money in the world…… the excessiveness is just so over the top and I’ll still 3 putt. No thank you and this isn’t titleist I have come to admire over the years. They should just change the name to “Fila-ist”. You do know that Fila SK does not own Titleist anymore? That Titleist is a publicly traded company? How about manufacturers put all their efforts into shaft technology.That would really be a game changer. Shaft technology? it really would change a thing. There are plenty of exotic shaft offerings many with a $$. There is no game changer in shafts, everyone swing, tempo , attack angle, inside to out, outside to in with different club head speeds. I never cease to be amazed at the hype that companies keep spinning about their new head designs in an effort to get consumers to believe the next Holy Grail has been achieved in head design so they will let loose of their credit cards. There most certainly can be many other previously unused high strength alloys that can be used to make a high COR clubhead whether that be a driver, wood, hybrid, or iron. But no matter what, every face material is handcuffed for ball speed by the limit to the COR/CT in the rules of golf. And since CT cannot be used to verify iron head face conformity, every metal or material that could ever be considered for use for the face of an iron is handcuffed by the 0.830 COR limit in the rules. Period. 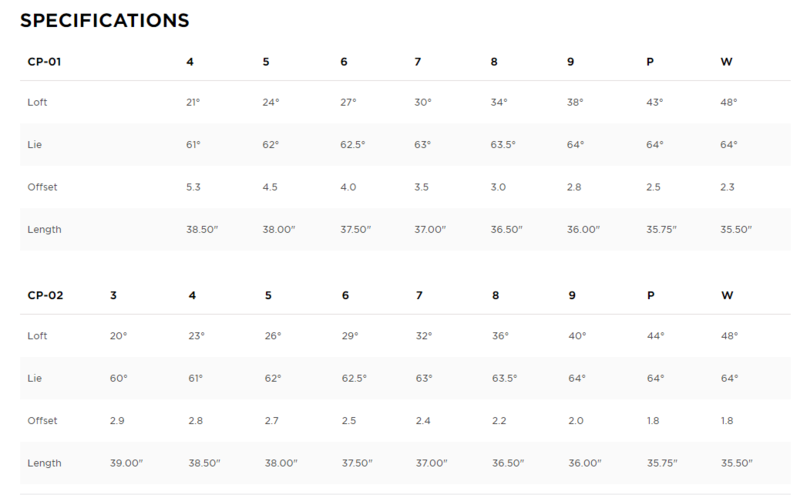 The most sure way for consumers to know that they are using a clubhead, whether iron or driver or what, that has a COR as close to the limit in the rules as is possible is through watching the SMASH FACTOR output from an ACCURATE launch monitor. I can assure you from my many years of clubhead design experience that iron head models have been made as early as the mid 2000s that reach a COR of 0.830 as verified by the absolute conforming limit for smash factor of 1.495. So when Titleist claims the highest ball speed ever with this ‘unobtanium’ face iron, that’s just not true once you translate that ball speed with the clubhead speed of whoever or whatever achieved that high ball speed into smash factor. Again there have been several previous iron models that have reached 1.495 smash factor as proof that the COR limit has previously been reached in iron design. So don’t get sucked into this hype about the next new special face material. When the USGA wanted to put a clamp on distance, they chose the right limiting factor with COR. COR is COR. You might have one face material that can be thinner to achieve an 0.830 COR than another material but all clubheads with all possible types of face material are still limited by the 0.830 limit for COR in the rules. Actually the more remarkable thing of this iron if true is if they really can get >100 grams of tungsten on a head made from steel and still achieve a normal head weight. Nicely explained Tom Wishing. It is the governing bodies in golf that will determine just how good/fast clubheads will be. Unless of course there becomes a sizeable market for non conforming clubs. Of course those clubs will be of no use to those who respect the rules of golf,and a non starter for those who make a living playing the game. Now if the governing bodies would have really been on top of things,they wouldn’t have allowed the golf ball to become what it is now. Advancements in technology have made the ball go so far that they are making many previously very challenging courses not what they once were. But I digress,that’s an issue to be discussed at another time. Tom, I thought the optimum Smash Factor decreased with irons as the lofts’ increased? A high swing speed player swinging a 5/6-iron at 100mph wouldn’t be able to generate 150mph ball-speed, or am I getting mixed up with how limits are measured? G’day Tom, just wondering which irons that have been out for a while have max COR as I am playing an old cheap set at the moment and would love to upgrade without spending a fortune. Thanks. You are the expert and hopefully you can “weigh” in on this further. It would seem to me that if Titleist isn’t lying about the 100 grams of tungsten part (which should be easy enough to verify but cutting one open), then maybe the rest of the head isn’t made from steel but some other material or combination of materials that are lighter than steel and yet just as hard (or maybe even harder) without going over the COR limit? By being able to position all that tungsten where they want it in the head, could that give them the ability to create a club that has the profile of a blade but is much more forgiving, like a game improvement iron? Particularly if they are able to do these things without losing the forged-like feel that most better players want? Isn’t that sort of the holy grail of “players” irons? I would like to commend Titleist for thinking a little outside the box by dipping their toes into luxury market. It’s no different than car makers having two or three different lines to expand their customer base. As Barnum and Bailey put it so many years ago, there’s a sucker born every minute,so let’s give it a shot! Sweet. Irons made from Vibranium. Sign me up. Meh, I’m holding out until they are made of Adamantium…. Why did they amp up the lofts two or three degrees if they are so long on their own? So I could just get a 7 iron and pitching wedge and learn to half swing/quarter swing etc. Done! No thanks. It resembles the Ping G700 in shape but the price tag is way out of line. Super metal? $500 per head? I guess that legalized weed in some states has filtered it’s way into Titleist headquarters! Thanks, but……um, no thanks! I’ll keep rockin’ my pristine 90’s Hogan Edge forged irons that feel like butter. My hope is that what they have learned from making these clubs can be later used to enhance their current line up of irons Also they could add to that line with a new club, an “AP-4” for example. A 7-iron 250? That’s enough to put Jack Nicklaus in his grave. There is no club let alone a set of irons worth that much money ! The old “let’s put out essentially the same product under another name/brand so we can mark-up the heck out of it and play on those gullible enough to equate high price with high performance” marketing ploy. Can’t fault “em…..one’s born every minute. Titleist knows it’s zombie customer base. Just look at their putters. Lol made for the Saudi market…. Guess I will have to admire these from afar cause that’s a bit steep even for a Titleist elitist like myself.